Awago Beach has been a summer sanctuary for Rose and her parents for as long as she can remember. Fresh air, a private lakeside cabin, and Rose’s friend, Windy, make up for the monotonous humdrum of childhood vacations. But, this one summer, Rose dares to overstep her boundaries. Fueled by fascination, naive yearning, and repressed angst, Rose becomes entrenched with the complicated lives of the local teenagers and her parents themselves—in addition to bingeing on candy and horror movies. This One Summer flows like a dreamy, lazy July afternoon, the kind that doesn’t last forever, unless in our memories. The humorous yet meditative storytelling plays on the reader’s nostalgia, while the illustrations offer a vantage of yesteryears that many of us are beginning to misremember. The coming-of-age graphic novel is sincere, captivating, and poignant, but most of all it is a faithful rendering of both ephemeral and intense moments that makes up a season in a life. 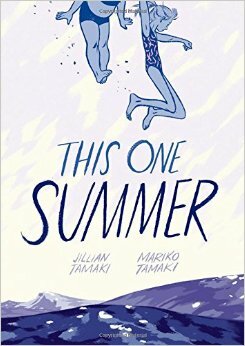 Mariko and Jillian Tamaki skillfully capture the subtleties of adolescence, teenage-hood, and even adulthood. With a few simple frames and some indispensible words, the hesitation of youth, the dynamic of a modern family, and the consequences of reckless decisions are fully presented with a heartfelt attitude that is pure and powerful. This One Summer is the Tamaki cousins’ second full-length collaboration. In 2008 their graphic novel, Skim, a story about the culture and conflicts at an all-girl Catholic school, received wide acclaim for its equally passionate presentation of the younger generation. There is no doubt that there is a harmonized understanding between the two artists. The ability to place the microscope on such a tender corner of existence is an element that is often absent in most of life’s maturing ventures. Mariko and Jillian remind us in This One Summer that new experiences have no age restrictions, and that coming of age is actually a lifelong endeavour. Although the focal point of the story is on Rose, she is in fact the supporting character to the real drama of those around her. We have all stood where she stood, at the perimeter of other’s lives, helpless to assist, and powerless to disengage. We ride the turbulent waves, while witnessing the ebb and flow of those around us. This stunningly candid graphic novel, in the end, encourages us all to stand by those we love and overcome the adversity of another fleeting summer. 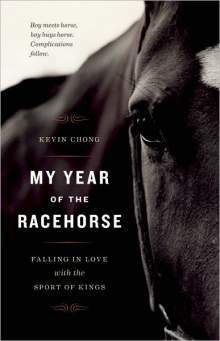 Formerly published by Ricepaper Magazine. As someone who finds felines endearing and adorable—but is also allergic to them—I’m trapped in a love-hate relationship with those sometimes cuddly and sometimes savage domesticated beasts. Regardless of your own personal experience with cats, Sherwin Tjia’s choose-your-own-adventure-style story, You Are a Cat, will offer a fictionalized insight of what it takes to walk a mile with paws and claws. You are Holden Catfield, or should I say, I was Holden Catfield, the beloved cat to an average family of four—or at least everything on the exterior seemed average. What began as a relaxing day chasing squirrels turned dark as each decision I took led me to discover the shadowy intentions of humans. Tjia paced the story brilliantly, moving from the monotony of a catnapping tale to a daring escape, and then becoming a wallflower, overlooking the misdeeds of the family. Tjia’s subtly placed illustrations offer a sometimes menacing and sometimes tantalizing viewpoint from a cat’s perspective. With only the extension of the paw, I, as well as Holden, could clearly see the expression of each human face and recognize the looks of adoration, danger and guilt. Although my adventure ended in a tragically anticlimactic fashion, yours might not. You Are a Cat is a fantastic light read that you can pick up over and over again and find new adventures, because the brief excursions of Holden Catfield allow it. Where does your cat go when you let it wander out the door or the window? Who does it meet? That’s your cat’s decision. Unless you keep constant surveillance on it, you’ll never know. 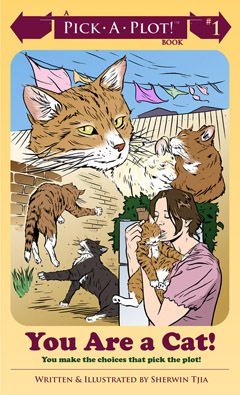 You Are a Cat is not only an exploration of what it is to be a pet, but also what it’s like to interact with animals. Take a look at your own pet and ask yourself: what weird stuff has my cat seen me doing? You should feel a little embarrassed after reading it. A Tofu Review: The Eatery – Modern Sushi in Vancouver, B.C. Modern artist Andy Warhol was famous for his paintings of Campbell’s soup cans and distorted celebrity photographs, so if he was to open a sushi restaurant one can only imagine that it would mirror the flare of The Eatery in Vancouver. 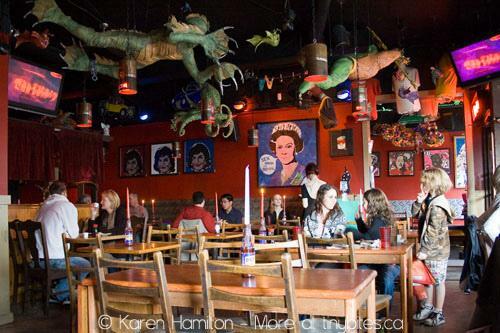 Contrary to the traditional vibe and décor, The Eatery lacks the usual paper walls, wooden panels and thin cushions of an authentic Japanese restaurant, instead it has papier-mâché monsters hanging from the ceiling, glow in the dark figurines standing sentinel on elevated shelves and Astroboy portraits on any remaining surfaces. Initially the restaurant’s atmosphere rushes you, like entering a nightclub after a couple hours of pre-drinking, but then you take a moment and adjust to the candlelight illuminating from the Dad’s Root Beer bottles and listen the audio melding of jovial conversations and boisterous music. Suddenly, you are ready for anything — but you are here for sushi. For all those indecisive folks who read menus like textbooks, The Eatery is a dining experience that you shouldn’t study for. Don’t try and cram, the more you evaluate each selection the more disheveled you’ll become. Deep breath. Ignore the fact that you are ordering food, look at the artwork the menu offers and embrace the possibilities. After all, with names like ‘erotica roll’, ‘drunken monkey roll’ and ‘x-rated roll’, how can you go wrong? Two special rolls lured me. One was the ‘crazy-spice roll’, because whenever something claims to be crazy — I’m intrigued. The next was the ‘Godzilla roll’, my strange childhood obsession with the Tokyo destroying monster had followed me to adulthood and now it is controlling the food I eat. Go figure. Over the years of eating sushi, I’ve learned to strategize my meal accordingly. If I take a bite from a piece with an overwhelming taste, I follow it up with one that is subtler. Coincidently, the ‘crazy’ and ‘Godzilla’ paired nicely. While the ‘crazy’ supplied the gentle singe of any good spicy tuna and salmon, ‘Godzilla’ followed up with the gentle cleansing of crab, avocado and unagi eel. It seems a little contradictory that ‘crazy-spice roll’ was the one causing havoc and ‘Godzilla roll’ was the one to sooth the palette. But I guess in the funky dimension where The Eatery’s artistic chefs craft their work — the plate as a canvas — sculpting with rice, painting with sauce and slicing each piece into a mosaic, there is no boundary for creativity. Each meal evokes a story, but do I dare say it leads to a happy ending? The classic model for Japanese desserts is usually mango and green tea ice cream. Although sometimes you might have a laugh misleading sushi-novices to believe a spoon of wasabi is ice cream, after time the novel prank wears off. Time for something new. Instead of staying culturally conservative, The Eatery branches off when it comes to sweets. Such simple carnival delights like deep fried Mars bars and root beer floats are available as well as more exotic selections. Dreaming of summer, I chose a showstopper in a steel martini glass, ‘Caribbean Fantasy’. Here’s a phrase to remember, bananas sautéed in rum and brown sugar. If ice cream is sunshine for the taste bud, the ‘Carribbean Fantasy’ might as well be a supernova. There is a lot happening for such a small serving. Individually, the saccharine flavour is too much to handle, but with the neutralizing effects of vanilla ice cream, suddenly the dessert is gone – black hole. Sushi always had a futuristic aura, but now it has entered a post-modern phase. It has gone to a place where it no longer needs to be associated with serving plates shaped like boats or bento boxes. In this brave new world, sushi is the pizza, burger and burrito. In Vancouver where so many restaurant march to the same beat of knife to cutting board and Hobart machines, it is refreshing to know that there is a place breaking the mold. Warhol would be proud; then again, he might just say it was The Eatery’s 15 minute of fame. The Eatery is located at 3431 West Broadway, Vancouver BC. For more information visit their website at http://theeatery.ca. It is hard to imagine high energy on the Sunday night of Halloween weekend. But Matt and Kim supplied the perfect double-shot-espresso kick to end the late October rituals. Packing into Vancouver’s Commodore Ballroom with the fanatic opening performance by Oberhofer, Matt and Kim made a custodian’s nightmare out of the dance floor. Confetti, balloons, and derelict garments scatter across the venue as the crowds bounce to the pair’s ecstatic beat. Gratefully sipping the 5% Budweiser from north of the border, Matt and Kim mixed their classic tunes with popular dance hits including Sir Mixalot, Alice Deejay, and Yolanda Be Cool & DCUP to name a few. Surpassing any nightclub experience, watching Kim laying the fury on the cymbals with her permanent smile was worth the ticket price. The pair used the stage like a jungle gym, striking poses on the bass drum, stool and even climbing upon the audience. Aside from being agile, the most memorable moments include Kim’s proposition. After hearing a collective chant from the crowd, she said she would remove her bra if the audience would take off an article of clothing and wave it in the air. Adhering to her words, Kim continued to drum away mildly exposed in her white-netted tank top. There was no denying that Matt and Kim’s performance was both audibly and visually pleasing. Multiple cameras were attached to their microphones and the image was projected on a screen behind. Occasionally they would cut to the camera’s perspective showing the audience what the performance would look like if it was presented through Skype. But this was no small screen performance. It was a spectacle. 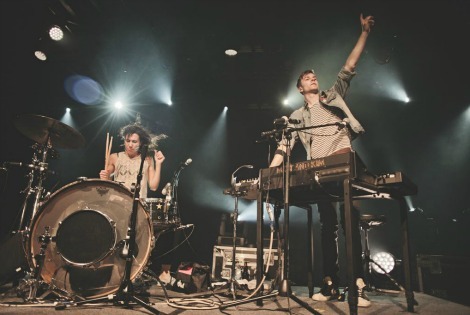 Few musical duos could sustain the vigorous energy like Matt and Kim. They weren’t only hosting the party; they were the life of it. After ending on a high note with “Good For Great,” an optimistic centrepiece on their third album Sidewalks, the couple guaranteed the crowd that their love for Vancouver would bring them back sooner than later. The reassured audience members finally catch their breath and wipe the sweat off their brows. It was indeed a workout of a concert. Feeling fit and undaunted, the costumed crowd steps out into the rainy night recollecting a successful weekend. If you want a night full of cerebral challenges and dynamic character development, just ignore Arnold Schwarzenegger’s major comeback to cinema last week. But if you fancy gunshots, car chases, fist fights, and explosions, then The Last Stand will be for you. The Last Stand offers exactly what you expect it to, including Schwarzenegger’s bang-on impression of himself playing an American sheriff. Yes, there was a novelty to his return, but in the end it leaves the same empty feeling most get when a once popular film star attempts to repeat their all too timely success. Fans will ultimately be disappointed in the efforts of the aging Austrian action hero; he is no longer Mr. Universe. For the price of admission, The Last Stand offers quick cuts, fast-paced action sequences, and cringe-worthy comedy. The film’s Korean director, Kim Ji-woon, beloved overseas, is clearly taking tepid steps toward the very different world of American cinema. But at the very least, his vision is clear and concise, which makes his collaboration with Schwarzenegger worth checking out. Like most, I was skeptical when I heard that The Hobbit was being stretched from a 300-page children’s novel into three movies. But as the credits interrupted the story I was so engulfed in, I realized that I could have sat for six more hours. The rumour of Peter Jackson making The Hobbit into a trilogy to milk money out of loyal fans had been vanquished, for Jackson told the story the way it should have been told. J. R. R. Tolkien can be referred to as many things: academic scholar, linguistic genius, an imaginative author, yet nobody reading his novels can ever say that he was a compelling storyteller. The Hobbit, though immensely popular, always read like a second draft awaiting Tolkien to fill in some key information. Since discovering Middle Earth at the ripe age of 11, I revisited the novel twice, each with a declining appreciation. But don’t get me wrong, I love Tolkien, and I am forever thankful that he created his fantastical world, only so that Jackson could make it one that generations to come can enjoy. However, the new technology caused the film to lose some authenticity. Some may argue that combining 3D with the new 48FPS made for better image, but during dialogue scenes and sequences with little to no action the film felt jarred and sped up. 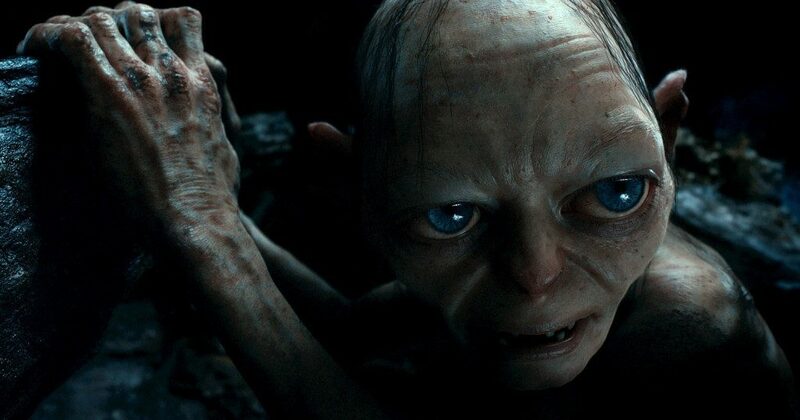 Unlike The Lord of the Rings, where Jackson relied mainly on stunt actors for battle scenes, the over usage of CGI in The Hobbit cannot be ignored. Many of the generated characters were unimpressive, and caused the film to actually look dated. Still, the flaws were few and far between—and most of them were caused by Tolkien’s eclectic storyline. The 13 dwarves were the most problematic, but Jackson coped by centering the plot on Thorin Oakensheild (played by Richard Armitage). Like Viggo Mortensen and Orlando Bloom, Jackson has a knack for finding talented heroes. After two decades in the film and television industry, the dues have finally been paid. At moments pitiful and others despicable, Armitage shows off his range as a brooding dwarf king determined to reclaim his home from a dragon named Smaug. Another gem of the film is Martin Freeman’s performance as Bilbo Baggins. The long time British television star famous for playing alongside Ricky Gervais in The Officeand Benedict Cumberbatch in Sherlock, has the charm and sense of comedic timing that gives classical gags an organic feel. From dwarven tomfoolery to tension-building riddles, the first installment of The Hobbit has raised the bar for the second and third. But with its cliffhanger ending, one can only imagine that the worst part of the up-coming movies would be the waiting, and not the walking. Considered by many as one of the best guitarists in the world, Kaki King confirms it with her sixth full-length album, Glow. Katherine Elizabeth King, a.k.a. Kaki King, returns to her roots with an instrumental collection that will be available on October 9. Displaying all her imaginative musical talent, Glow has the potency to transport listeners to other parts of the world, proving that even without lyrics, music remains a universal language. With assistance from ETHEL, a string quartet based out of New York, Kaki King achieves a dynamic range, where one song can have a distinct feel of the Orient (“Bowen Island”) and another have a rich Irish sound (“King Pizel”). Some songs soundtrack the cacophonies of urban hustle and grind, while others evoke a tranquil imagery of somewhere far, far away. Very few artists are able to create settings the way King does. In contrast to her 2010 album Junior, Glow lacks King’s vividly haunting vocals. Although her classical acoustic ability remains stunning, it is a shame that she did not contribute some of her poetic styling into her new works. That is not to say she’s simplified her music though; on the contrary. Glow’s content is far more complex than any verse-and-chorus song around. But I am a sucker for lyrics; the added dimension of words is usually what makes a song memorable. Nevertheless, the album is King in her element; there is nothing she can’t do with six strings. If busy students need a reason to explore new music, consider Glow to be a studying companion. Kaki King will also be performing at the Rio Theatre next Tuesday, October 16. Tickets are only $20 at the door! If the fleeting moments of summer could be captured on an album, then Matt & Kim have done the job. The indie-pop duo’s fourth album, Lightning, came out on October 2—just in time to help you cope with the looming monotonous seasons ahead. Those familiar with Matt Johnson and Kim Schifino’s earlier works will know their music arouses the body, forcing you onto your feet, and percolating the senses to dance. You could resist it, but sitting still through a whole song is like holding in a sneeze, something they’ve managed to accomplish yet again on this album. …their music arouses the body, forcing you onto your feet, and percolating the senses to dance. In fact, Matt & Kim bring all the elements we love back into their new album. That said, their lack of risk-taking can’t be ignored. There is something about Lightningthat just didn’t spark me the same way their last album Sidewalks (2010) did. I feel like I am arriving at the same party, with all the same people, and talking about all the same things. Like the memories of summer, Lightning is short and sweet, containing 10 songs and, as usual, just surpassing 30 minutes.